Is your skin looking tired and a little lackluster? Age, genetics, diet, and environmental factors can all contribute to dehydrated, dull, and tired-looking skin. 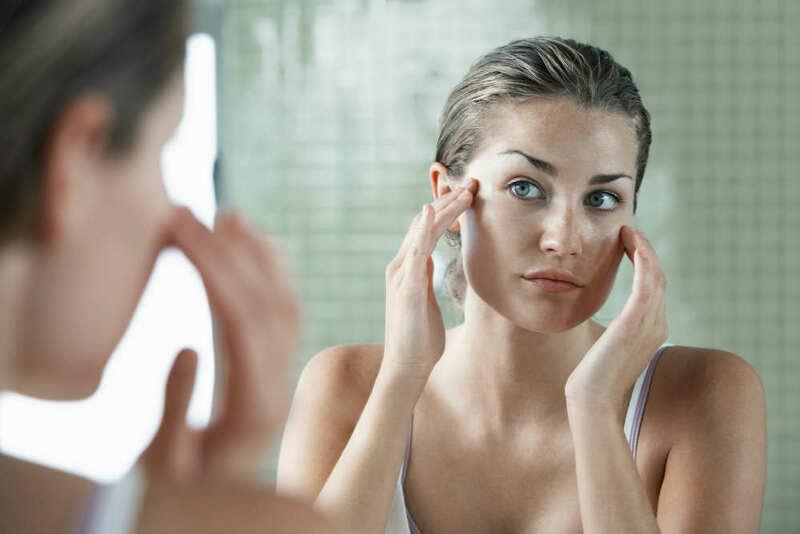 If you want to wake up looking radiant and refreshed and it seems that your skin care is not doing enough, you may consider consulting an aesthetic doctor for a customized treatment plan. At the Cutis aesthetic clinic, we offer a number of safe, FDA-cleared, non-invasive procedures designed to brighten, hydrate, and firm the skin. Learn more about these popular treatment options and how they work to renew a lifeless complexion. Chemical peels involve the application of an acid-based solution to the skin. The procedure exfoliates layers of skin, ranging from superficial to deep depending on the type of peel chosen. Chemical peels can improve rough skin, acne, age spots, sun damage, and freckles. Some peels also double as a pigmentation treatment to even out your complexion and create a more vibrant skin. Cutis Crystal Peel is an effective skin lightening treatment for dull skin. It has been successfully used to lighten freckles, age spots, pregnancy marks, pigmentation, uneven skin tone and discoloration conditions of the face & body to brighten the skin. Another type is the VI Peel, a special peel formulation which is designed to improve skin tone, texture and clarity of the skin; reduce or eliminate age spots, freckles, and hyper-pigmentation, soften lines and wrinkles; clear acne skin conditions; reduce or eliminate acne scars; and stimulate the production of collagen, for firmer, more youthful skin. Treatments may take at least 45 minutes and can be performed every four weeks or once in a month. Fillers for face include ingredients like hyaluronic acid which are well-known to eliminate scars, fine lines, wrinkles and volume loss. However, hyaluronic acid fillers are also FDA-cleared to improve or “boost” the quality and hydration of the skin. Restylane Skinboosters are a type of hyaluronic acid fillers that lets you achieve a luminous skin in a natural way by gently and naturally smoothening the skin from the inside. It works by increasing the hydration within the skin to provide lasting moisture and improve the skin’s surface. Restylane Skinboosters treatments can be used not only to improve the general skin quality of the face but also to improve exposed and sensitive areas such as your neck, décolletage and hands as well as areas with acne-scarred skin. Juvéderm® VOLITE is another type of skin booster that delivers improvements on a range of skin quality including smoothness, hydration and even skin elasticity. In a clinical trial of 131 patients, the clinical study showed an improvement in skin quality wherein 96% of patients cheeks were smoother while 91% reported they were more satisfied with their skin one month after their treatments. Significant improvement in hydration were also seen even at six month onwards. Laser Genesis is an innovative skin therapy used to promote healthy, vibrant skin in men and women. The procedure uses non-invasive laser technology to safely and effectively improve the natural signs of aging, such as sun damage, enlarged pores, and acne scars. The US FDA-cleared treatment also has skin brightening effects to the skin tone and quality improving dull complexion. Laser Genesis works by heating up the dermis and stimulating collagen production. The procedure also shrinks blood vessels which minimizes redness and targets superficial pigmentation that causes problems such as liver spots. You may need at least four to six treatments to achieve optimal results. Combining these treatments with simple maintenance skin care such as sunscreen with at least SPF 30 can enhance your results. Whether your dull complexion is due to too many late nights at work, or you’re dealing with specific skin issues such as acne, rough skin or redness, our Harvard-trained skin doctor in Singapore can help. To learn more about chemical peels, dermal fillers, or Laser Genesis, contact Cutis Laser Clinics in Singapore to schedule a consultation with our aesthetic doctor.